As part of Independent Venue Week’s 5th birthday this year a live record is being released of artists who performed over the 7 days. Limited to 500 hand numbered vinyl and only available in the UK, the release includes tracks from some of the most exciting artists who played this year. The double gate-fold record features 15 artists across 7 different venues in 6 locations around the country. 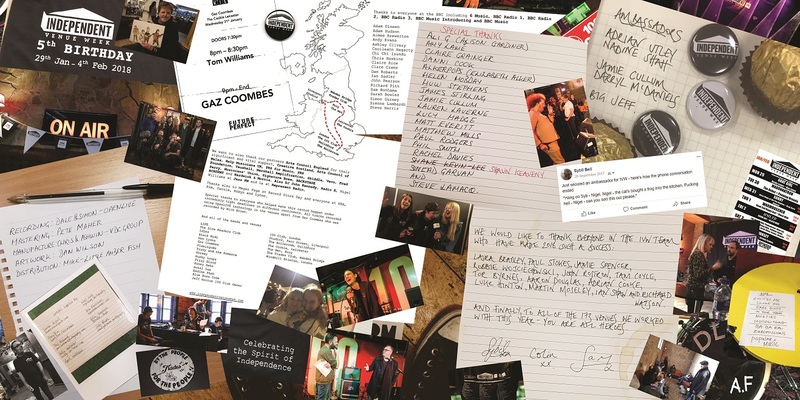 Artists featuring include Gaz Coombes, IVW Ambassador Nadine Shah, IDLES from their BBC Music outside broadcast for 6 Music’s Steve Lamacq’s show, Slow Readers Club, LIFE who played at the launch and Flamingods – a full list is below. We are more than happy to lend our expertise on manufacturing Vinyl for IVW and hope to help any label or artist in there projects.